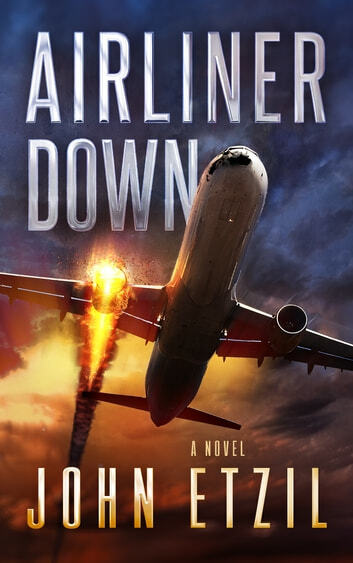 "Action-packed and full of gripping scenes and unforgettable dialogue, the book is a true feast for the mind"
Airliner Down is a fast-paced tech thriller that brings terror to the friendly skies. If you like pulse-pounding reads with compelling characters and chillingly real plots, then you’ll love John Etzil’s turbulent tale. Buy Airliner Down today to experience the flight of your life! This was a good book. It kept me reading and wanting to see what was going to happen. I loved that the authoe tied everything up at the end. It was a bit hard to follow at first and it made me unsure if I liked the main character.it was a bit gory in parts but over all I enjoyed it and bought the next 2 books. Excellent quick thrilling read. I highly recommend this exciting book. This is the 3rd book that I've read from Etzil and its a crazy and exciting ride. It also has the main character from Fatal Justice in it in a small role. 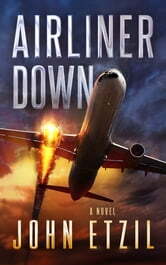 If you like aviation and thrillers you'll like this one. I could not put this book down. I love "on the edge of your seat thrillers" and this book and writer were the best. The events were realistic and the people were believable as it seems I knew them. Great read.